Parliamentlive.tvSecretary of State for Culture, Media and Sport Matt Hancock. 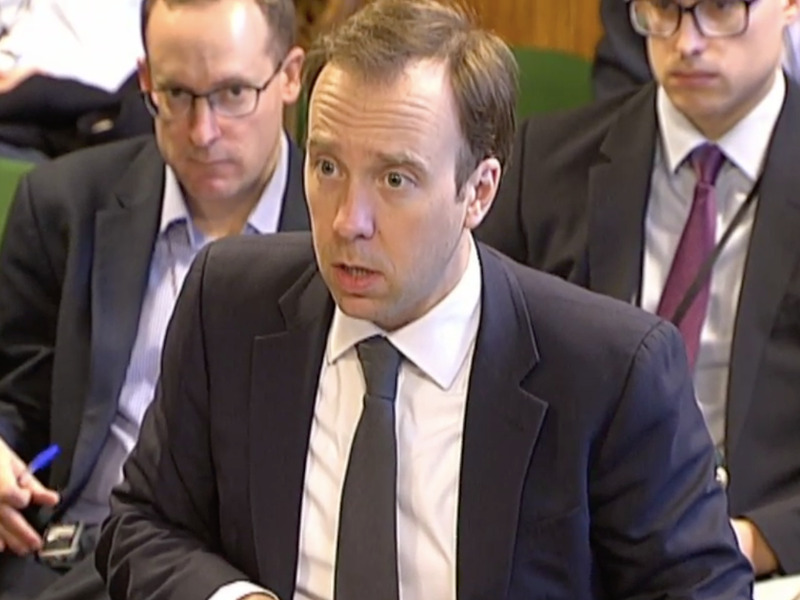 Secretary of State for Culture, Media and Sport Matt Hancock said on Wednesday that the government would consider adding warning labels to social media sites, which would indicate that sites can be harmful in the same way that cigarette packets currently carry labels. Hancock gave evidence to the Digital, Culture, Media and Sport Committee about fake news and what plans the government had for legislation around technology companies. Giles Watling, one of the members of the committee suggested to Hancock that the government introduce warning labels for social media sites so that the people using them would be aware of the risks. Elsewhere in the session, Hancock was asked about the possibility of the government introducing legislation to deal with issues such as fake news on social media sites. “We don’t rule out legislation,” Hancock said.